When people think of "biblical archaeology" they usually think of cities such as Jerusalem, Jericho, or Capernaum. However, sometimes a road can be just as valuable as an archaeological "site." Our picture of the week is from Volume 15 of the revised and expanded version of the Pictorial Library of Bible Lands, which focuses on Rome. 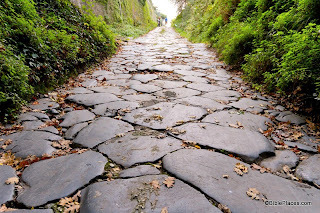 The photo is entitled, "Appian Way with Ancient Paving Stones." Now on both sides of the Appian Way were seen the tombs and funerary memorials of the generals, conquerors, and distinguished men who had raised an obscure Italian town to the position of the first city of the world, and surrounded it with a halo of martial glory unexcelled by any other metropolis. 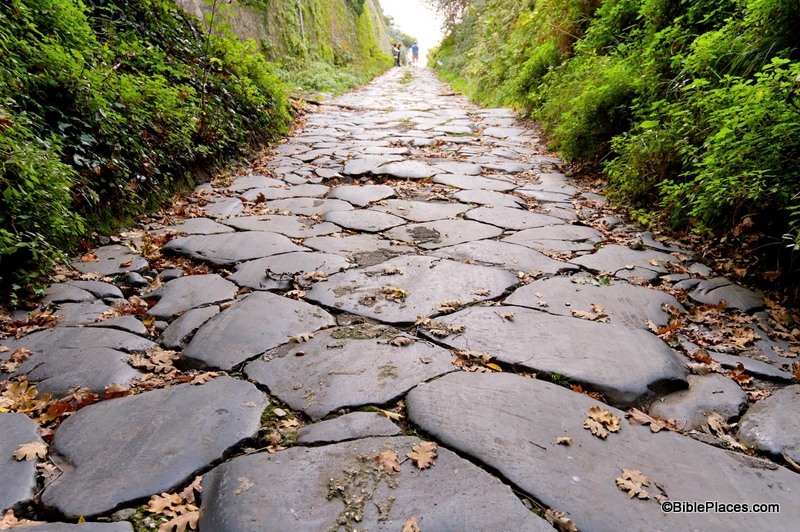 Many of these illustrious Romans had passed over this same road to enjoy a magnificent triumph in the city. But the prisoner who that day was surrounded by a retinue of converts and a few Roman soldiers was being led in a triumph far more memorable than that of any victorious Roman general. Excerpt is taken from Merrill F. Unger, Archaeology and the New Testament (Grand Rapids: Zondervan, 1962), 314-316, and can be purchased here. This and other photos of Rome are included in Volume 15 of the Pictorial Library of Bible Lands and can be purchased here.